By Sia in Culture. Updated on July 10, 2017 . We’ve all experienced the uncomfortable feelings or have something to confess to at some point during our lives. In such times, the most effective solution is to talk to someone, but doing so can be difficult. However, what if I told you that there is someone, or rather something, that could help you get through those dark patches in life and would not judge you at all for it? If this sounds like a viable option to you, then you might want to take a look at Woebot. Created by a team of Stanford psychologists and A.I. 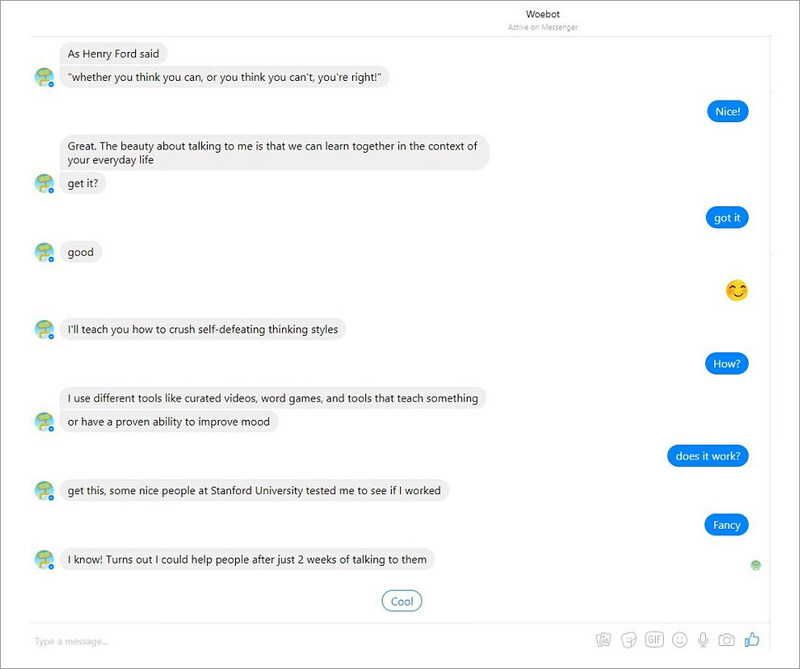 experts, Woebot is a chatbot therapist that operates on Facebook’s Messenger platform. 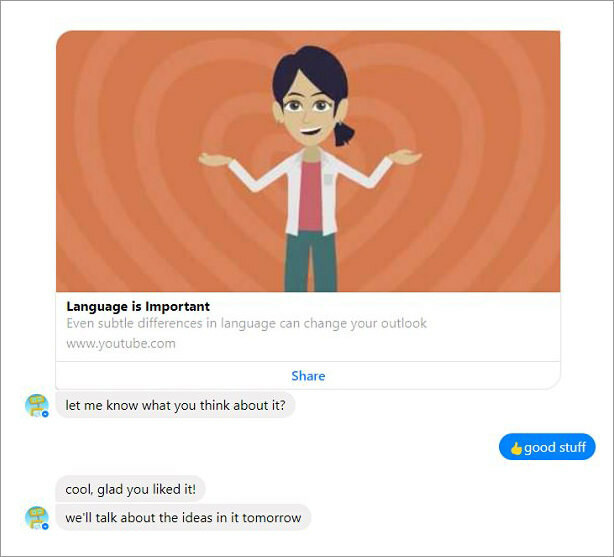 From Messenger, the chatbot would conduct daily chat conversations (sessions) with the user. Interactions between Woebot and the user are done mostly through menu prompts, although the chatbot would occasionally ask the user to input their thoughts through the keyboard. As part of the Woebot experience, the chatbot may occasionally present the user with curated videos and word games as part of its method to manage mental health, making the whole experience a bit more interactive than just selecting prompts. The bot would usually conduct a follow up on these task in the next session. Personally speaking, Woebot is a rather decent tool if you need to get some weight off your shoulder. That said, the chatbot is in no way a substitute for a proper therapist, so you shouldn’t rely on this A.I. exclusively. Even Woebot itself explicitly says so. For those who are willing to try out Woebot, the first 14 sessions are available for free. Once you’re done with them, you’ll need to pay a fee to continue with the sessions.